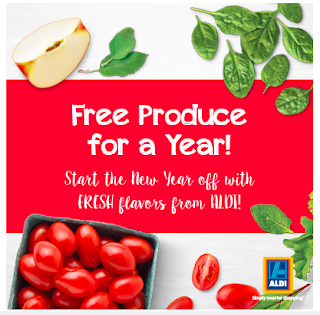 Aldi - Win FREE Produce for a year! You have to be in it to win it! Enter for your chance to win free produce for a year here! Must use a computer to enter, it will not work on a cell phone.